We use the finest quality materials, such as A1 grade kiln-dried basswood. The Shuttermart process combines artistry with machine precision. 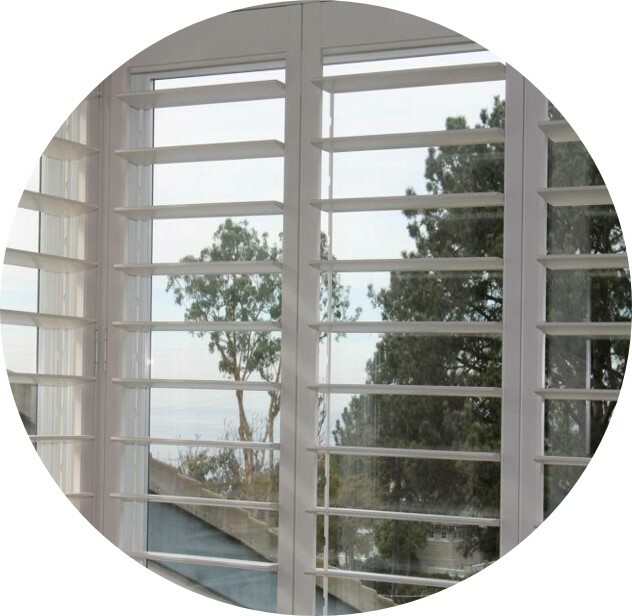 For example, the wood used in our shutters is hand-selected for texture and grain. It is shaped by machine for exactness. Then it returns again to the craftsman's hands for finish and inspection. For more than 65 years, Shuttermart has maintained a tradition of delivering the highest level of service, design, craftsmanship and quality to our customers. 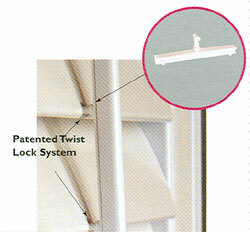 We build your shutters using a special rabbits interlocking technique that adds an extra light blocking factor. Shuttermart's master craftsmen will manufacture your custom shutters to your specifications. Shuttermart's 100% basswood shutters come in 2 1/2", 3 1/2" and 4 1/2" louvers to meet your needs. Windows and door sizes and shapes vary widely, so in order to properly custom fit your shutters, every opening is measured precisely. You can be confident that your shutters will meet your exacting standards for fit and quality. In recognition of its superior technology, the Window Covering Manufactures Association has awarded Shuttermart's Polyclad Hardwood Shutter "Product Innovation Award Of The Year". Shutters are typically manufactured in 6 to 8 weeks- far too long for today's demanding lifestyle. At Shuttermart, we don't simply assemble shutters for shipped-in prefabricated parts, we actually mold the poly and mill the wood. This allows us to custom build every shutter in about 7 working days, so your windows don't stay bare for months. Arch top windows and stand-alone arches are a beautiful part of many homes. Shuttermart offers beautiful arches to coordinate with your choice of shutter frames. The arches are custom made with Sunburst, Eyebrow, Full Circle and other custom designs to fit your windows. There is no window covering that enhances the beauty of a home and sculptures light as elegantly as shutters. Whether traditionally or contemporary, any decor will be equally complemented by shutters. Shutters are often called "The Ultimate Window Treatment".